WhatsApp brings another great feature to use for its user to use it has a lot to do with your privacy. This feature allows you to send a text to a participant of any group privately without letting others know about it. 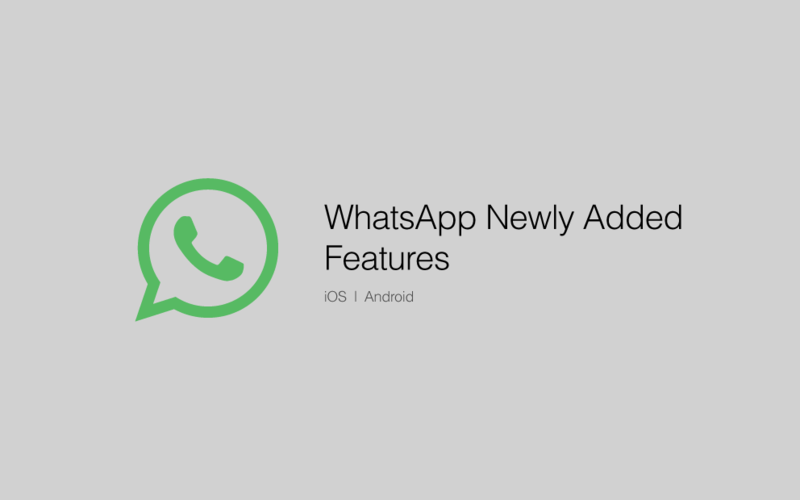 This feature is available for beta version 2.18.355 of WhatsApp. if you want to use this feature, here is the way. Go to the group where you want to send a message to the participant. Hold the message of the sender to which you want to reply privately. A menu will appear, tap on three-dotted menu and there you will have the private reply option. Tap on private reply and the chat window of the sender will open privately. In order to take advantage of this amazing feature, you need to download the latest version of Android beta app and for this, you first need to be a part of Google play beta programme. In a previous update of WhatsApp, WhatsApp has introduced the new sticker supports for the instant chat App. This feature is introduced for all iPhone and Android users. This new update has a lot to offer that a user can download many amazing stickers pack apart from having the default stickers. WhatsApp has three sections for stickers. It has a Clock, star and heart section. In the first clock section, the most recent use stickers will be displayed. The star icon will contain the most favorite stickers of yours. And the heart category will be containing stickers according to your emotions like sad, happy, dramatic and many more. With an October update of WhatsApp which came in 2.18.100 version. They brought the amazing feature to automatically play the voice message in a proper sequence. This feature was just introduced for the iOS users. So iOS users will not have to go back to the app in order to play the messages because voice notes will be played automatically. With the latest update for the iPhone XS Max, WhatsApp provides an advantage of a big screen to read more messages and have an eye on large media. WhatsApp brings silent mode for its user to hides all the notifications and a user can mute his chat as well. The chat mute option brings a facility to not to see the new messages notifications on WhatsApp logo of a person who’s chat you have muted. In the previous version of WhatsApp, the muted chat counted as unread messages. The reports have been coming that this feature has already been enabled by default for all the users so you don’t have to do anything to take advantage of this feature. WhatsApp is taking care of people’s privacy so as they introduced the latest feature of deleting the message for everyone. So a person can delete his message for everyone and it means that the next person will not have access to your deleted messages again. This update is a server-side update and your messages will be deleted from the server of the WhatsApp. The picture-in-picture video feature was first introduced for iOS users at the start of this year and now this feature was introduced for the Android users. This feature allows the users to watch Instagram, Facebook, and YouTube videos in a small section of a window within the WhatsApp app. A user doesn’t need to go back to these social apps to watch videos on them as they can open the link directly from the WhatsApp. In a September’s update, WhatsApp brought the new feature of a search option for the status tab and for the messages. With this update, a user can search for the status update for any specific person directly from the status tab. If you are having a lot of statuses on your status tab, you can find a specific person’s status by using this feature. More to this update, you can find any specific message of a person from the chat. You just need to type a word related to that message and the messages will appear on your screen.